CMS has released the pre-publication version of the Inpatient Prospective Payment System (IPPS) final rule this week. 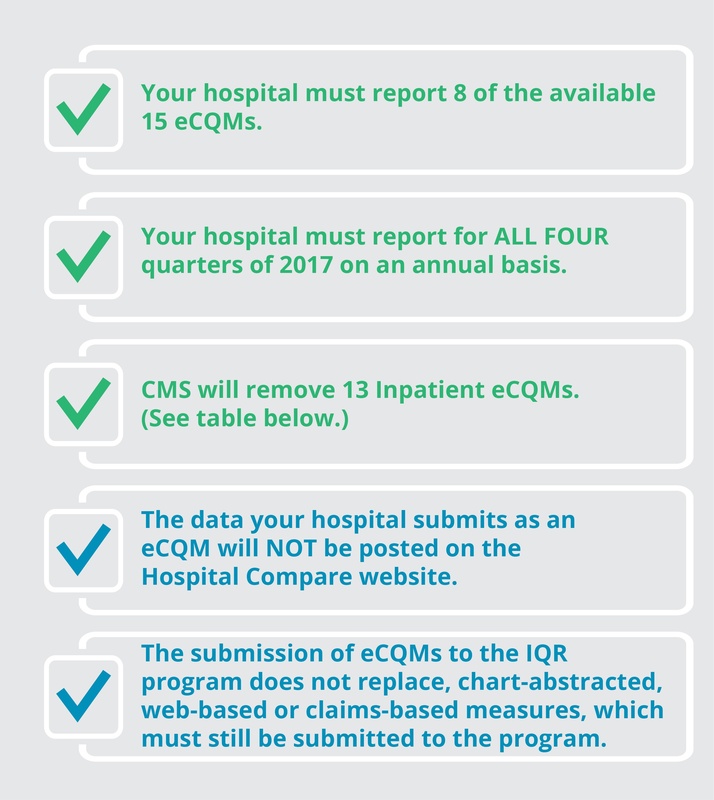 A mandatory full year of eCQM reporting will be required for hospitals reporting to the Centers for Medicare and Medicaid Services (CMS) Inpatient Quality Reporting (IQR) program in 2017. Here’s how the 2017 IPPS Final Rule will impact your hospital and how to prepare. In a previous blog we reviewed, in detail, the 2016 requirements. Here we contrast the requirements for 2016 to the final changes for 2017. Please note that CMS has stated that these requirements will be in effect for 2017 and 2018. The changes to the hospital IQR program will introduce new challenges to hospitals for 2017. Mandatory electronic reporting of 8 eCQMs for the entirety of 2017 may seem daunting to hospitals who haven’t yet formed a plan for submission in 2016. 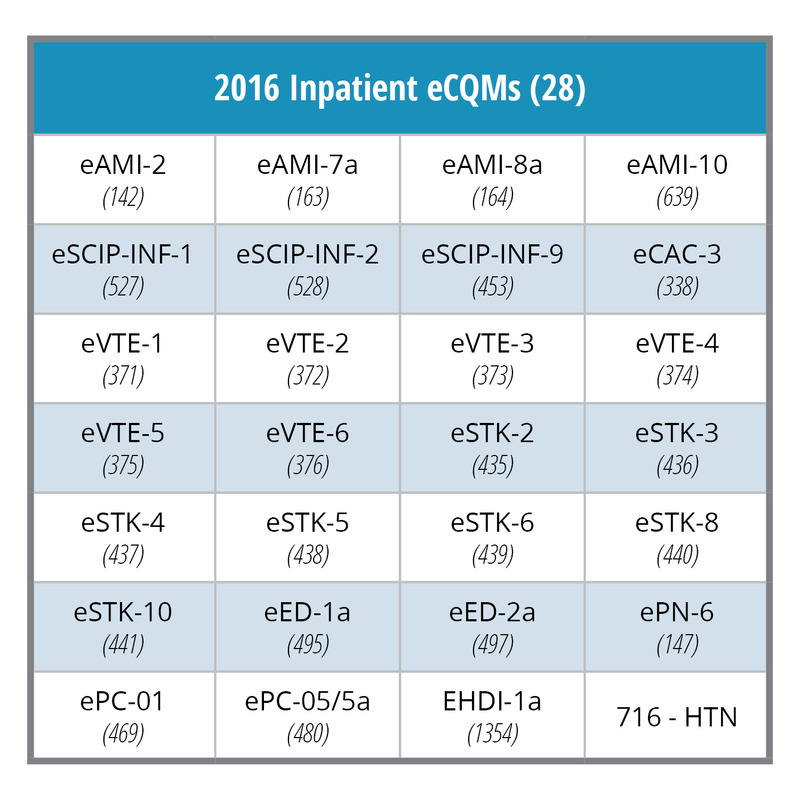 In 2016, hospitals must choose four of the 28 eCQMs. Typically, hospitals chose measures they had already implemented such as Stroke, VTE and ED eCQMs. 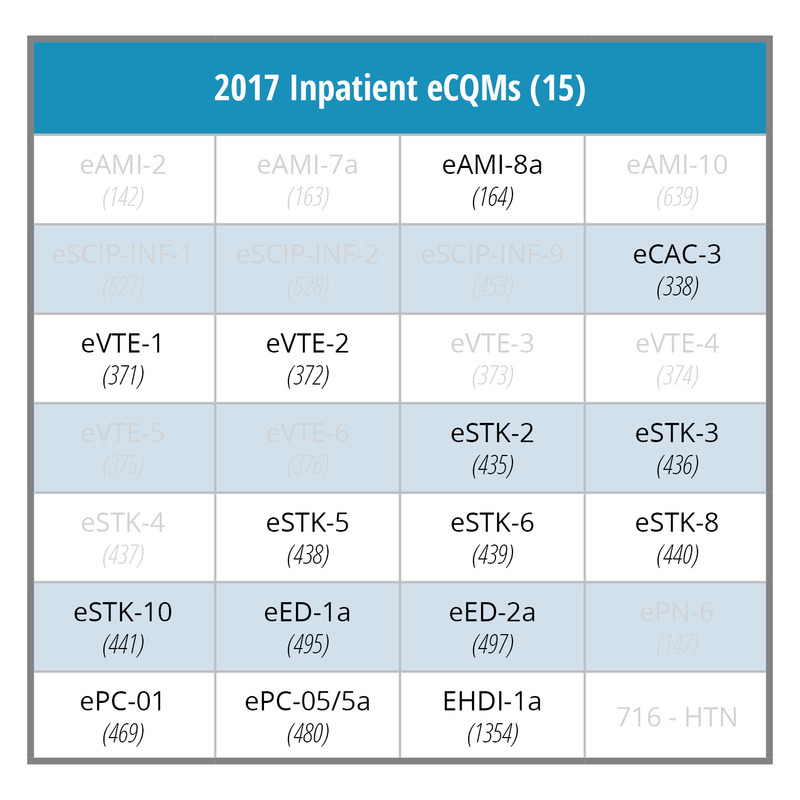 In 2017, an additional challenge for many hospitals will be the requirement to submit data for 8 eCQMs. The final rule may force hospitals to implement historically less frequently reported eCQMs which are highlighted in red in the table below. Hospitals should get serious about electronic hospital quality reporting now while they still have time. 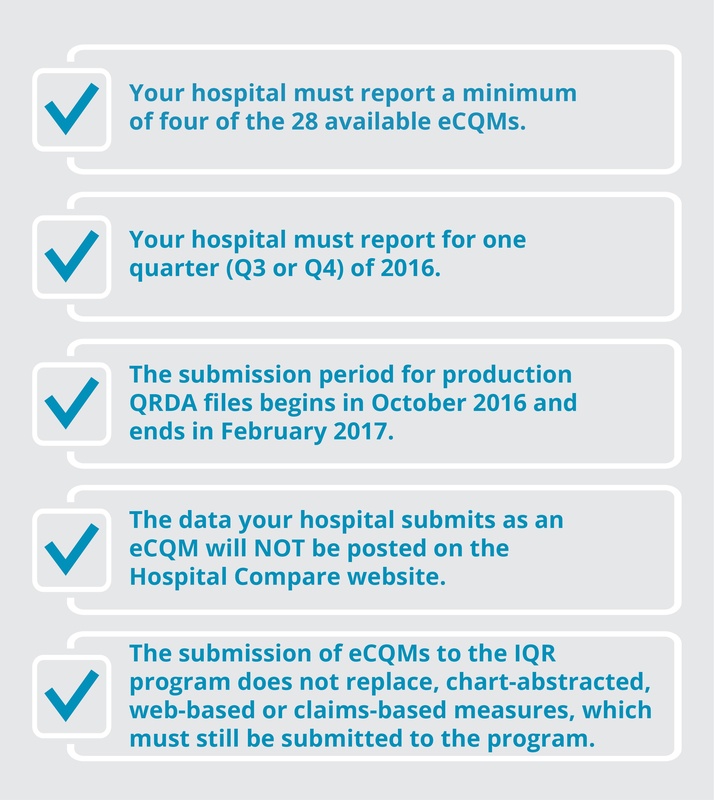 July 1st marked the start of the first mandatory eCQM reporting quarter for the 2016 IQR program. The CMS eCQM data validation testing period is now open for test submissions. If you think your hospital will not be able to successfully meet these reporting requirements, find a CEHRT vendor partner that has a long track record of success with eCQM reporting.